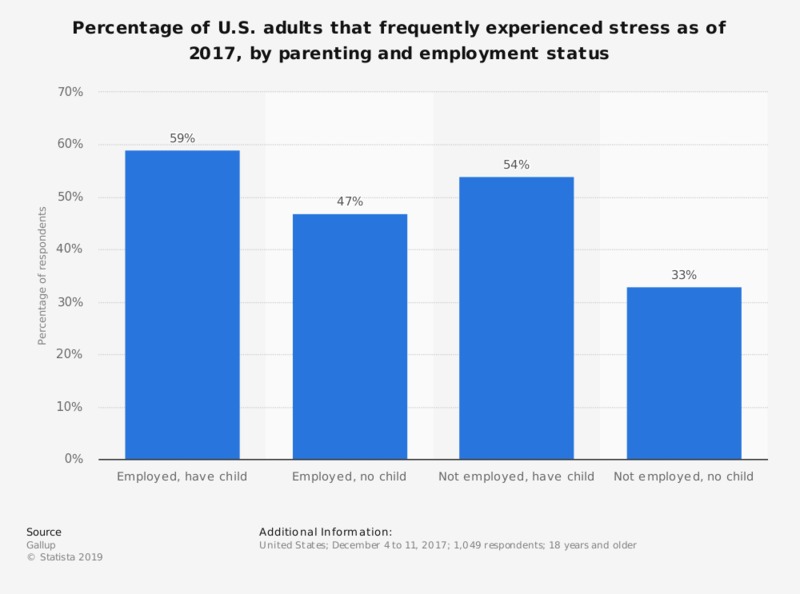 This statistic describes the percentage of U.S. adults that frequently experienced stress as of 2017, by employment and parent status. According to the data, among those with some form of employment and children, 59 percent experienced frequent stress. Comparatively, among those that were not employed and had no children, 33 percent had experienced frequent stress.